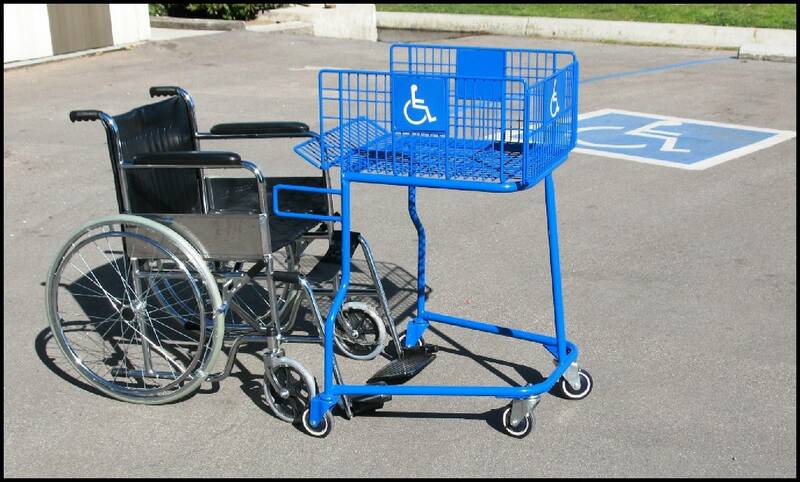 This is our wheel chair shopping cart. It has been redesigned to be more stable and easier to operate than other products on the market. It easily attaches to a standard wheel chair with Velcro straps. Wheel chair NOT included Dimensions and Specifications Coated in ADA Blue Feature Four 4" poly swivel caster for maneuverability. Total Capacity 4,735 ci Weight 36lbs Basket Length 22" Basket Width 20.5" Basket Depth 10.5" Widest Point is 29.5" Longest is 40"